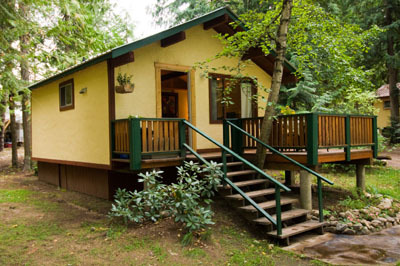 Karibu Park Cottages & Campground is a nature lover’s choice for a getaway, with 8 comfortable, fully equipped housekeeping cottages and 30 treed campsites, with hookups available, to suit all budgets. Centrally located in the Slocan Valley, and within easy walking distance to the village of Winlaw, Karibu Park has its own access to the Slocan Valley Rail Trail on the pristine Slocan River. Recreation areas, gardens, a large gazebo, and spa facilities provide travellers with many opportunities for relaxing, gathering and enjoying the surroundings. We’re a comfortable base from which to explore the abundance of natural beauty that the area has to offer.